Anthony Joshua is looking to be the fifth boxer to win the prestigious SPOTY Award. The BBC Sports Personality of the Year (SPOTY) Award is always a cherished honor and according to Betway Insider the favorite to claim the 2017 award is boxing champion Anthony Joshua. Heading into his upcoming fight with Carlos Takam, the World Heavyweight Boxing Champion has already had a good 2017 with his title unifying victory in April over former champion Wladimir Klitschko. That victory in front of 90,000 fans at Wembley Stadium followed up three victories in 2016. Joshua first claimed the WBC International Heavyweight title in 2014 and then won the British Heavyweight title with a December 2015 victory over Dillian Whyte. Joshua claimed the IBF (International Boxing Federation) title with a knockout of Charles Martin in April 2016. He twice retained his titles in 2016 with wins over Dominic Breazeale and Eric Molina. 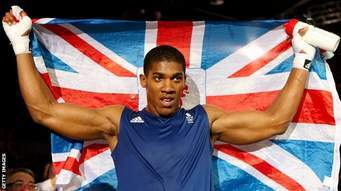 The 2012 Olympic Super Heavyweight Gold Medalist, Joshua enters the Takam fight undefeated with a 19-0 career professional record, including five knockouts.